Today we recognize a valued volunteer in the Military Birth Resource Network Community. Many of military families have very young children. Just had a baby or planning on starting a family. Meeting other mom's and getting out of the house can be a daunting task when children are small and the service member is gone often. Today, we want to give a very big shout out to Tabby Ferguson. 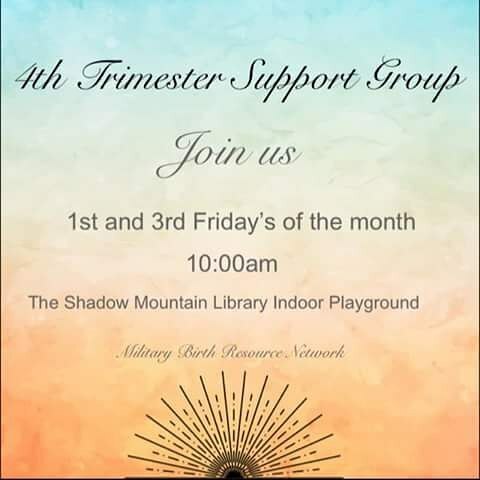 Tabby is the glue in our community that brings everyone together and makes the 4th MBRN 29 Palms Expecting, 4th Trimester & Beyond Support and Play Group flow. MBRN Chapter Leader, Christy says she really has built a great community of moms who are here to help and support each other. She also helps with marketing and much more. The local library where the groups are facilitated has really gone out of their way to support the MBRN MCGACC Chapter there buy providing a beautiful space where mom's can come together and connect. Tabby has volunteered much of her time and has been a great asset to the network. In between setting up fun gatherings for moms, helping with fundraisers, events, and support groups, she does all this while raising her children and being a military spouse herself. Thank you Tabby for helping grow your network and building a safe environment where military moms can come get support and find their tribe.